Hey guys, just want to talk about some different tricks I use when I drive in games (and sometimes in real life, but never for racing lol). A more recent technique I've started using both in game and in real life is engine braking through low speed turns. 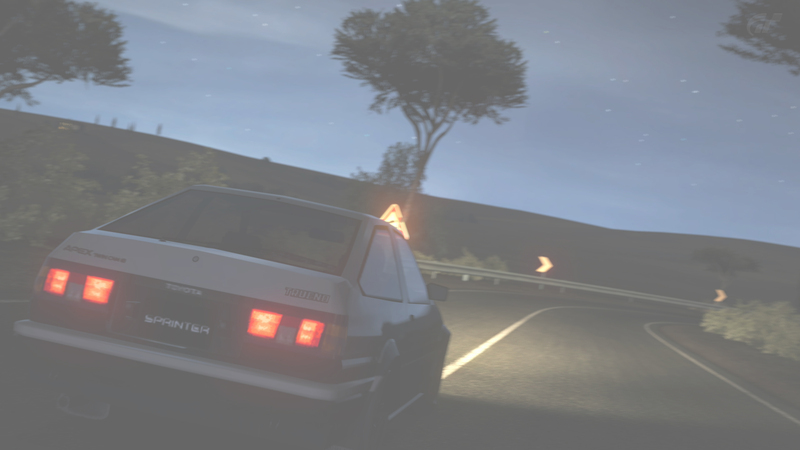 In GT6/Forza, I used to drive a gear above what I needed to be in, and I always had poor exit speed as a result. Since learning the trick, I've actually averaged about 5-10 MPH faster through turns, and shaved about a second or two off for each section of the track. In real life, I've only tested to see if my car will engine brake, which it does...Quite well. For passing cars, I usually draft the leading car until I can find a clean opportunity to pass. I prefer to perform the maneuver quickly, since I still have difficulties driving side-by-side with other racers going into turns. I usually will pass on the outside or exit of a turn if possible, as it's easier for me to predict where the other car will be positioned on the track. If I have an aggressive driver on the tail of my car, I will automatically start trying to get them off of my tail without driving dirty. Oftentimes, I'll play a feint coming into a tight turn, and pretend to brake late, then slam on my brakes and let the other driver fly past me and off the track, or just off his line, and then pass him on the inside as soon as he flies off. For some reason, this feint never fails. So guys, if you want to talk about your techniques, go right ahead. I hope this thread can become a bit of a hub to exchange tips and advice on general and advanced driving techniques.